Land Day and Global March to Jerusalem ceremonies were launched Friday in Lebanon, after participants gathered at Beaufort Fortress in the Southern Lebanese village of Arnon, near the borders with Palestine. Friday prayers at the scene were followed by the ceremony activities, starting with the arrival of international delegations coming from Arab and foreign countries to participate in the event, Al-Manar Website correspondent Mohammad Alloush reported. 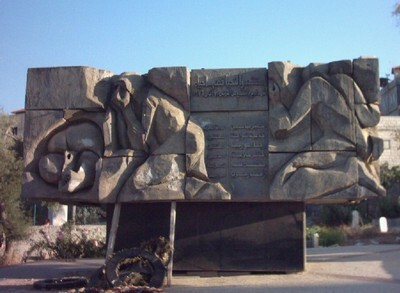 The demonstrators delivered speeches on the occasion stressing that the issue of Palestine will remain the nation’s first cause of priority. Intensive masses from Asian countries of India, Malaysia, Indonesia, Azerbaijan and many other states attended the march, alongside Arabs, Iranians and Turks activists. The most prominent were the anti-Zionist rabbis of “Neturei Karta”. The Lebanese army conducted intense security checks and barbed wires had been installed around the gathering courtyard. Similar protests were held in the West Bank and Gaza. While organizers said the events would be nonviolent, Zionist army and police were girding for trouble after similar demonstrations last year turned deadly. Thousands of Palestinian demonstrators clashed with Zionist troops at a West Bank checkpoint of Qalqiliya Friday as hundreds more gathered by Jerusalem’s Old City to mark Land Day. Tensions were high at the Qalandia checkpoint, just north of Jerusalem, as a handful of Palestinian youths hurled rocks and set tires alight, with Israeli troops firing a barrage of teargas, rubber bullets and stun grenades against the protest. Troops also fired a foul-smelling liquid called “skunk” into the crowd, an Agence France Presse correspondent said. By 1100 GMT, around 30 people had been treated for teargas inhalation, Palestinian medics said. 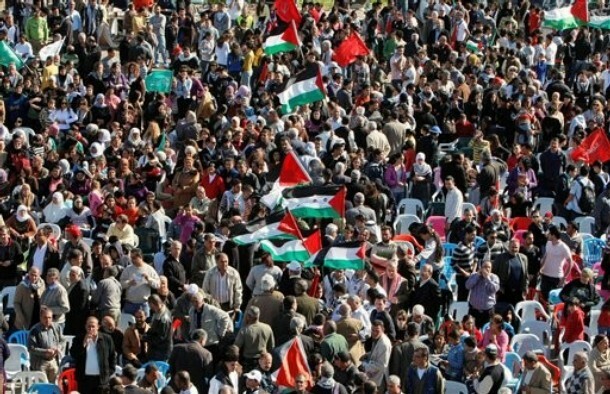 At least a dozen rallies were held across the occupied territories, AFP reported. In annexed Arab east Jerusalem, around 400 demonstrators waving huge Palestinian flags gathered outside the Old City near Damascus Gate. However, another hundred or so people gathered by Lion’s Gate, where Zionist police arrested four people, and another two were treated by medics after being injured by police batons, an AFP correspondent said. 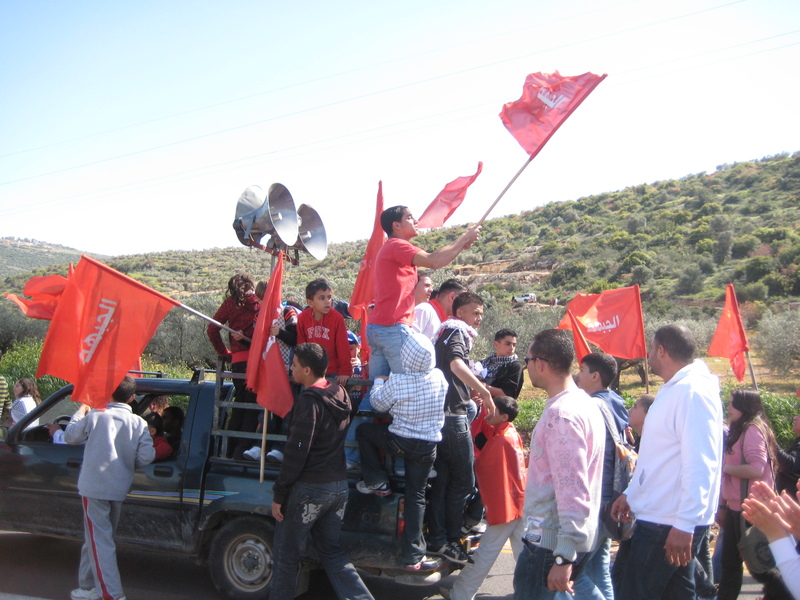 The main Land Day march took place in the Arab ‘Israeli’ town of Deir Hanna in Galilee, with another march scheduled in the southern Negev desert. In anticipation of mass protests, the Zionist occupation army imposed a 24-hour closure on the occupied territories late on Thursday, barring Palestinians from entering the entity, excepted for humanitarian reasons or medical emergencies. A Gaza youth was martyred and at least five more people seriously injured, including a journalist, at the Erez checkpoint between “Israel” and Gaza, as security forces are clashing with protesting Palestinians. 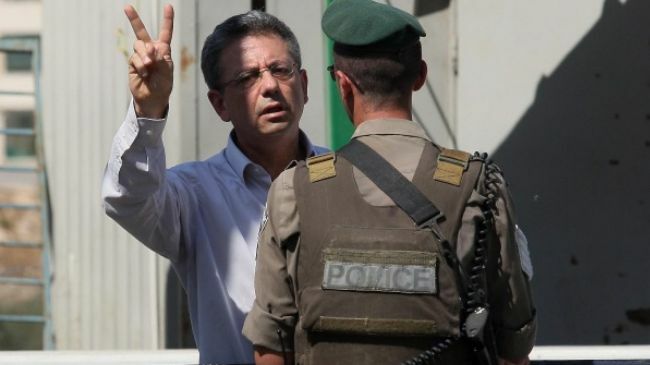 RT’s correspondent also reported that the Palestinian legislator Mustafa Barghouti was rushed to hospital and is in serious condition after being hit in the head by an “Israeli” tear gas canister at Qalandia checkpoint in West Bank. “Ambulances are racing to and from the scene,” the agency added. The standoff between the “Israeli” army and Palestinians continues at various checkpoints, with occasional bursts of tear gas being fired at protesters. “Israeli” forces were using water cannons and rubber bullets. At least 130 people have reportedly been wounded throughout the West Bank so far, according to medical sources. Reports also suggest that four medics were struck with rubber bullets. Moreover, two Palestinians have been injured as “Israeli” forces were carrying out mass arrests in al-Quds, particularly around Damascus gate in the old city. The Palestinian rallies, joined by international human rights activists, are part of an international campaign named Global March on al-Quds, a peaceful international movement that also condemns the “Israeli” occupation of the holy city.